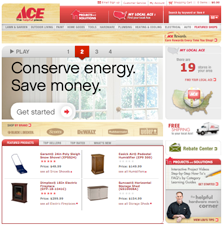 Shop online .You will be able to choose whether you ship to your home, or get free delivery to any Rocky’s location for local pick-up.Remember, Rocky’s in-store specials are not always available on AceHardware.com. 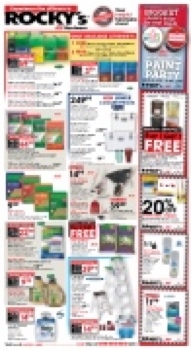 Visit your local Rocky’s for the best weekly deals. Call your local Rocky’s store and talk to an associate. They can help you place an order right over the phone. Click here to find your local store and phone number. Go to your local Rocky’s store and view a catalog in person with an associate. You can view and discuss your options, and the associate will place your order before you leave. Remember to select “Ship-to-Store” as your shipping option in order to qualify for FREE SHIPPING.